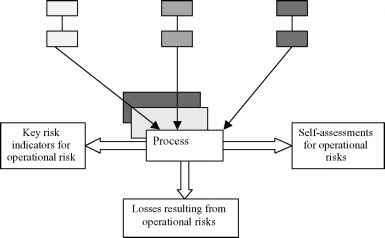 Source: Adapted from "A risk scorecard approach", U. Anders and M. Sandstedt, Risk, January 2003.
of Basel II. However, the recognition of the importance of OpRisk is a sure start to opening the Pandora's Box of risk management. This Loss database is the first step to detailing the losses or leakage that are parallel to the leakage and pilfering in the high-street stores. Operational risk is with us to stay, admitted or otherwise, in the banking and investment fields. It has been with us to stay in most other professions since their start. Creating a loss database in some ways is just catching up with standard retail industry practice. OpRisk analysis, certainly under Basel II advanced standards, will eventually lead us to link the role of the investment parties with their associated losses. See Figures 9.5 and 9.6. Furthermore, the database is compiled in the hope that we can link the internally manageable risks to establish lines of causality. 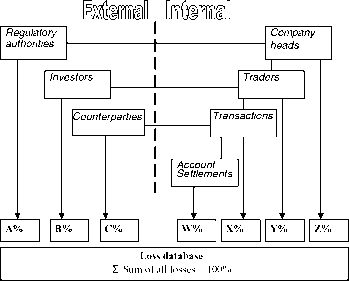 One example has been to create a relation between the number of failed trades and the ratio of settlements processed per employee, plus to factor in the staff quality.8 More sophisticated regression analysis and other techniques such as Bayesian probability or neural networks hold some hope for connecting causal lines between losses. 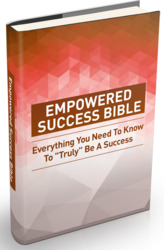 Doing it successfully will assist companies to improve their business processes. Good management demands that weak process areas must be found, and that means pinpointing who is responsible. Laying the blame for losses squarely at someone's door is likely to be one of the less universally acceptable tasks initiated by loss database analysis. 8 'Forecasting from Loss-Events', Z. Molla, Investec, London, 5-6 June 2003.
reputation of national financial systems following recent infamous financial failures. But, the potential of risk management monitoring has to meet the abilities of the internal management corporate skills. Where these levels remain low, then there will be difficulty for the bank to effect constructive change. 2. 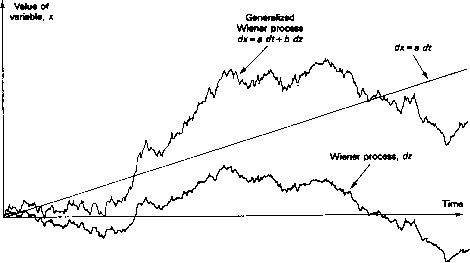 Variance and exceptions report. The loss database has abusiness case justification going for it. But, it is battling against the banking status quo of how things are traditionally done. One of the main reasons for data losses will come from the difficulty in reconciling all the composite dealing and accounting systems from the bank to derive a consolidated loss figure. Lack of IT systems integration will cause some data accuracy to be lost. Loss of control over the input and collation of the data will also increase the room for error. Data input by manual means also increases the room for data error. Some banks and funds will not have the data internally for developing the Loss Database. See Table 9.2.